Flat building site with fruit trees. Open to south. Fully developed (but not connected at the moment). Kemestaródfa: Family home with convertible attic. 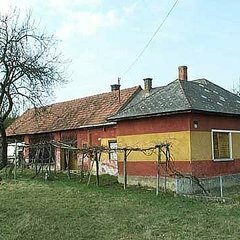 Family house (1951), since 1976 uninhabited. Anteroom, kitchen, larder, 2 large bedrooms, stairway to the convertible attic (approx. further 90m²). Stable barn, garage. The house is in the good condition but have to be reorganized totally. Without sanitary unit. Kálócfa: Quiet hilly site with spruce trees. Building site, eastern slope, spruce trees. 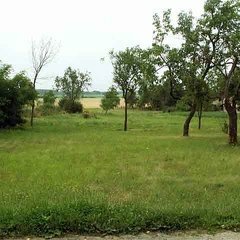 Kálócfa: Sites in southeast direction. Slope. Building sites in southeast adjustment. To acquire entirely or individually. Additionally splittable. Further adjoining properties can be bought too. 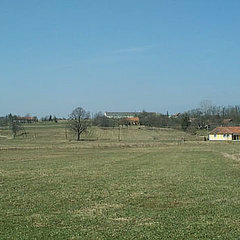 Kálócfa: Farm in easy hilly location in the outskirts. Small farm on easy slope. House with anteroom, kitchen, larder, 2 rooms, storage room, stable, barn. Auxilary building. Sewage at the edge of the property.